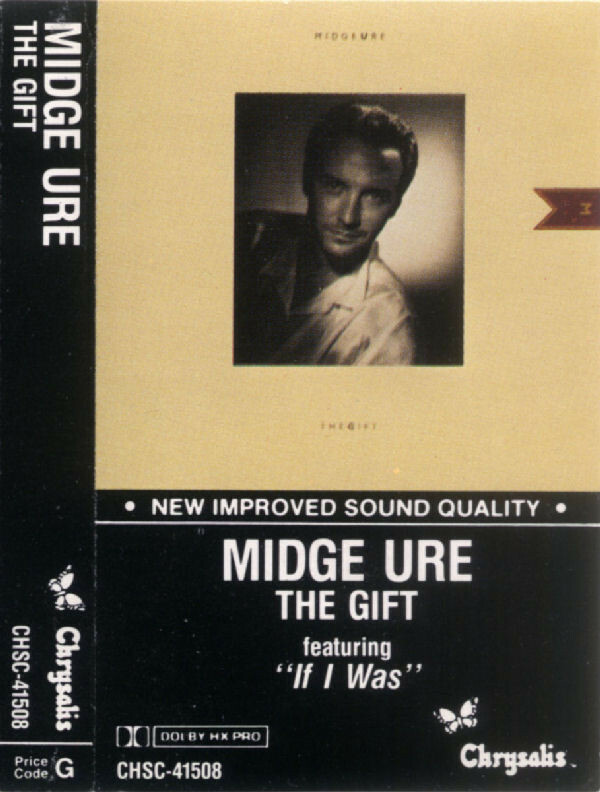 Ure has revealed in his autobio that “If I Was” or maybe an instrumental [not a chance] were the only songs he was willing to have as the lead single from the album, since the intent was to separate Ure from the baggage of Ultravox for his solo career. He felt that Ultravox was getting too pretentious and top heavy, so the move to pop was deemed de riguer, but there’s good pop and bad pop in my opinion. “If I Was” was definitely the latter for my ears. I like simple pop music a lot, but that song had the whiff of deliberately aiming low for commercial effect. That Ure had a five year history of aiming higher with me… much higher, made it all the worse in my opinion. After such a poor opening hand, the album could only get better. And it did. “When The Winds Blow” I felt would have made a much better opening salvo in his now serious [but not really serious] solo career. It had the breezy pop feel he claimed he was aiming for by using Daniel Mitchell’s “If I Was,” but without the turgid, overblown arrangement and such sub-par lyrics. In spite of this one being a full-on solo effort from Ure, he managed to give the programmed rhythm section some real syncopation that carried this song far. I feel that it could have passed muster as single material and represented a lost opportunity. 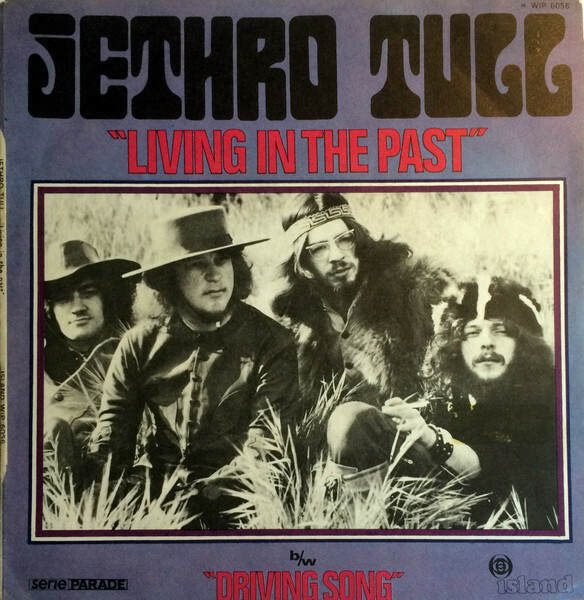 Years prior to “The Gift,” Ure had mooted a solo album ala David Bowie’s “Pinups” formed of his favorite songs from growing up. Successful stabs at “No Regrets” and “The Man Who Sold The World” carried this through in earlier times, and the only cover song to be included here was a curious version of Jethro Tull’s 1969 hit “Living In The Past.” The arrangement here was a languid, funky take on the old chestnut with a star turn from Level 42’s Mark King taking the bass by the horns and leading the song into entirely new grazing territory. Unfortunately, the heavy handed cha-cha rhythms programmed by Ure only served to let the song down. Making it a near miss. 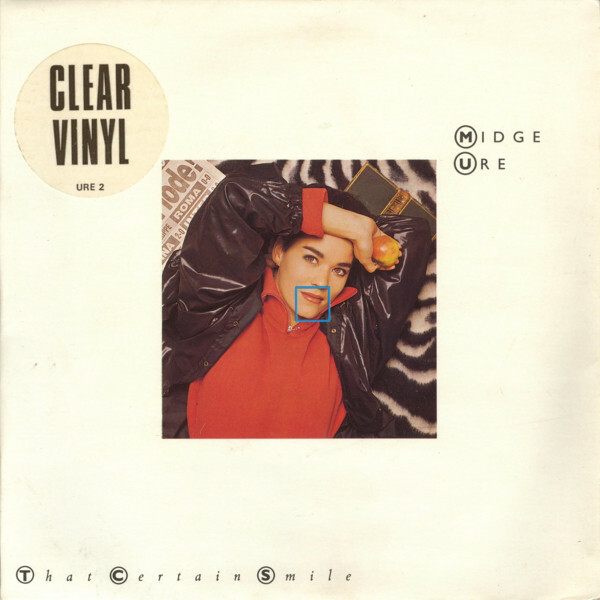 The second single was “That Certain Smile,” which I bought the 12″ of to see if it was better than “If I Was.” I found it to be another “yes and no” situation. The song started out with the worst opening lyric for a song I can recall hearing. “Cross your heart and hope to die, it’s love.” Oooof! That knocks the wind out of me right there! The simpering music surrounding this was even more disappointing from the first play, than “If I Was” had been. Fortunately, the song’s middle eight was superb; a full on cinematic guitar solo with all of the atmosphere that Ultravox would have served the song up with. I was not crazy about the lead synths, but from that point on the song was certainly a good one. Nigel Ross-Scott of Re-Flex was enlisted as bassist, and while he’s no Mark King, he gave the song some human feel to wisely get it away from the machines. As did live drums from Lindsay Elliott. Ure was smart to vary the rhythm attack between himself on machines and guest players throughout the album. I would have started the song at the middle eight; it makes a great intro. Strangely enough, the 12″ single was missing an extended mix, but as evidence of whether I should buy “The Gift,” which had been on the racks for some time now, it was inconclusive. The title track closed out “side one” and it was an interesting return to art rock for Ure on an album that was closer to soft rock thus far. The lurching, slowly paced number was a song dedicated to the art of Charles Rennie Mackintosh; one of Glasgow’s most famous artists and designers. The sampled anvil made for interesting metallic percussion throughout but the most interesting thing about the arrangement was how Ure had taken the soundtrack to what sounded like a TV documentary and used it for percussion. He ran the dialogue through a noise gate triggered by a synth or drum machine pulse and it turned the dialogue into a rhythm track; an effect I had not ever heard before. I’d be willing to bet that his audio source was a documentary on Macintosh. It showed some real creative thinking and indicated that Ure was not yet fully ready to leave behind the technological foundation that Ultravox was famous for in his solo work just yet. The bass here sounded like Ure playing fretless, unless he was using a sampled bass in that way. This entry was posted in Core Collection, Designed By Peter Saville, Mid-80s Malaise, Record Review, Scots Rock and tagged 1985, DLX RM, Midge Ure, The Gift. Bookmark the permalink. Agree about If I Was, simply hideous!